This sketch challenge was easy and fun. 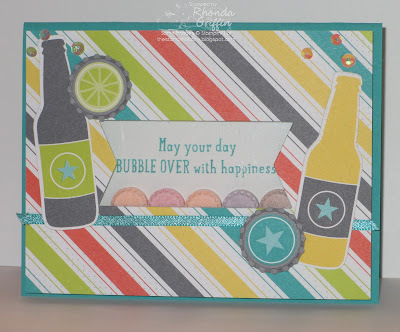 I wanted to use the Bubble Over set, but the Bubbles and Fizz paper made it too easy, so I only used the sentiment from the set. 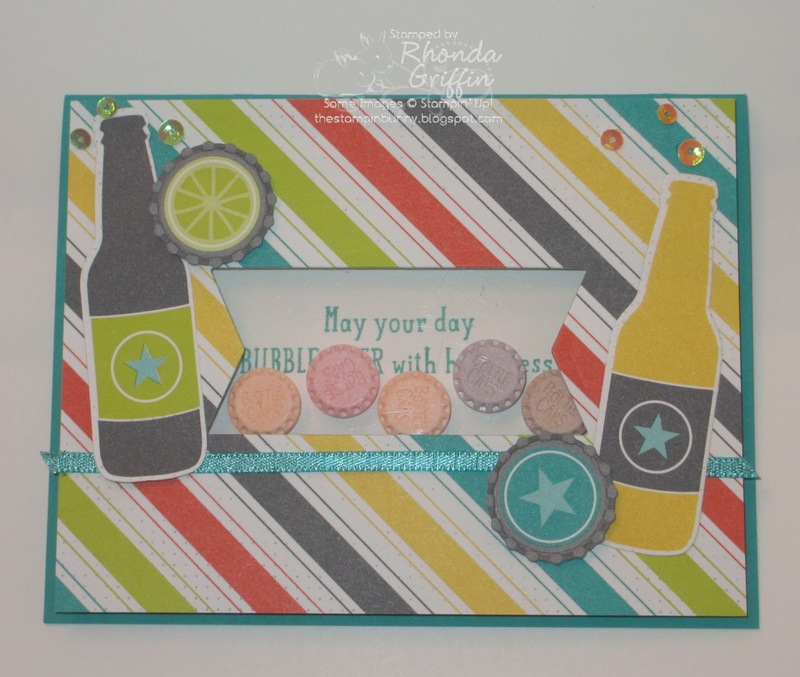 I cut out the images from the designer series paper using the matching framelit small pop bottles and pop bottle caps. I'd wanted to use bottle caps candy with this set, so I thought a shaker would be fun. 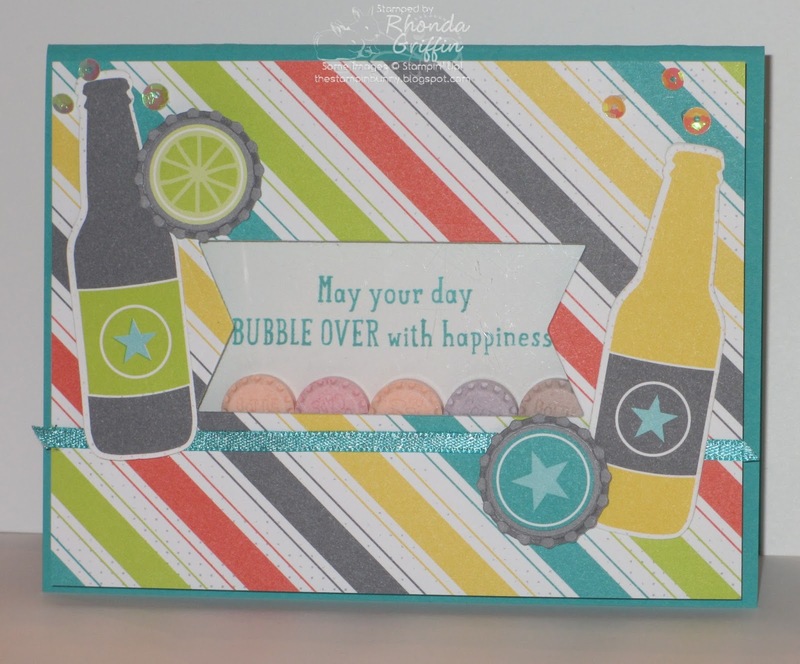 I had to layer 4 dimensional layers for proper thickness for the candy, so I won't mail this one! 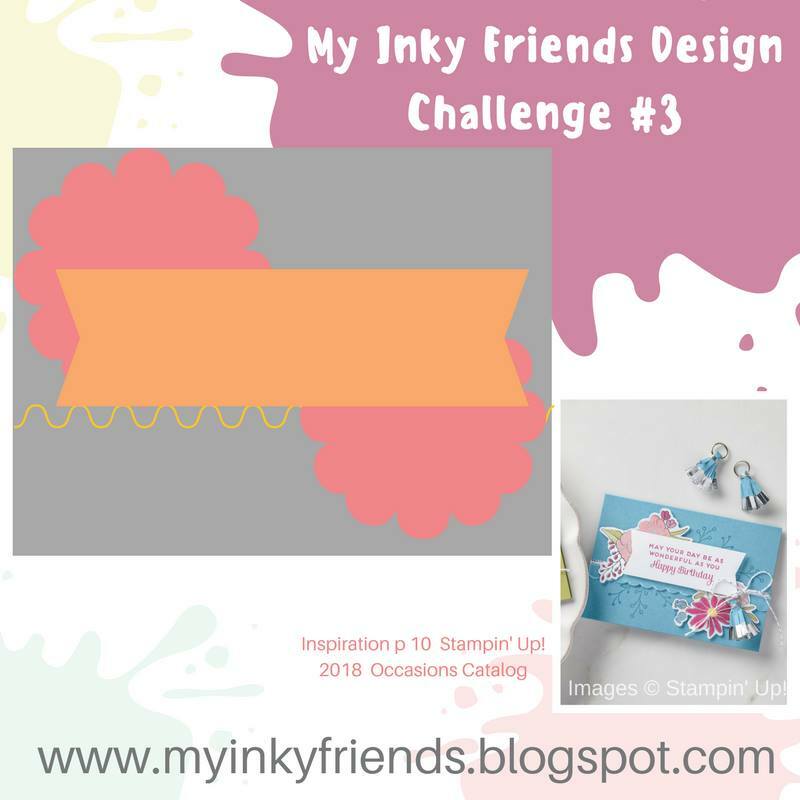 Our third challenge is a sketch based on page 10 of the Occasions Catalog. 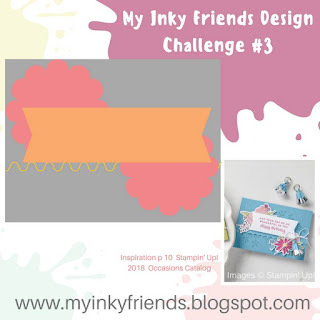 Be sure to play and link your card/post here: https://myinkyfriends.blogspot.com/ by March 2.